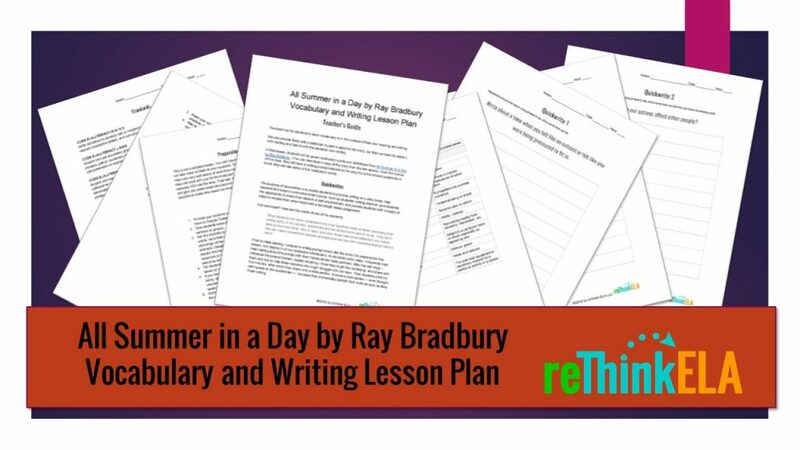 All Summer in a Day by Ray Bradbury is a short story that would make a wonderful introduction to a science fiction genre unit. Set in Venus where it rains all the time and the sun only shines for one day every seven years, the story features a group of children who are too young to see the sun — except for one girl who has recently arrived from Earth. She shares her love of the sun through metaphor and poetry, and Bradbury explores what happens when a group of children, left to their own devices, grapple with jealousy. Edward French reads aloud Bradbury’s short story. Great for the whole class to listen to as they follow along or for individual students who struggle staying focused on a text. Help your students increase their vocabularies — and improve their reading comprehension — with our All Summer in a Day Vocabulary in Context Lesson Plan. Download this plan now!